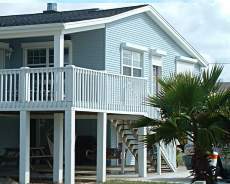 Gulf Coast Shutters offers information and drawings for all of our products. You may access technical specifications directly from each product page or use the links below. We also offer building codes, wind load charts and other relevant information to help you select appropriate shutters for requirements in your particular area. Noise Reduction, Thermal Control, Shading RC....Soft foam core aluminum slats for UV protection and Shading control to save on that utility bill..also creates Privacy and Sound control. Soft foam core 0.34" slat thickness 0.012/0.30mm gauge aluminum wall thickness. The motorization and automation of roller shutters make your daily life truly easier. There's no simpler way to save time: motorization takes away the inconvenience of cranking, and you can close all your shutters in one movement. You will also save energy: the roller shutters are always closed in time to ensure optimum insulation. You are well-protected: motorized shutters with security locks ensure complete, dependable closure. Certain motors can detect obstacles to the movement of the shutter, providing you with additional security. The precise adjustment of the position of the shutter enables you to manage variations in light inside your home. The motors, manufactured by Somfy Systems Inc., are asynchronous, single phase, 120 volt, with solenoid activated braking, and thermal overload protection. They are tubular in design and fit within the reel (roller tube). All bearings and gears of the system are enclosed and permanently lubricated. Standard switch: toggle switch, momentary, in the color cream (double pole, double throw) unless otherwise specified (other types and colors are available). All electrical components are U.L. listed. Proper grounding of motor is required at voltage source.